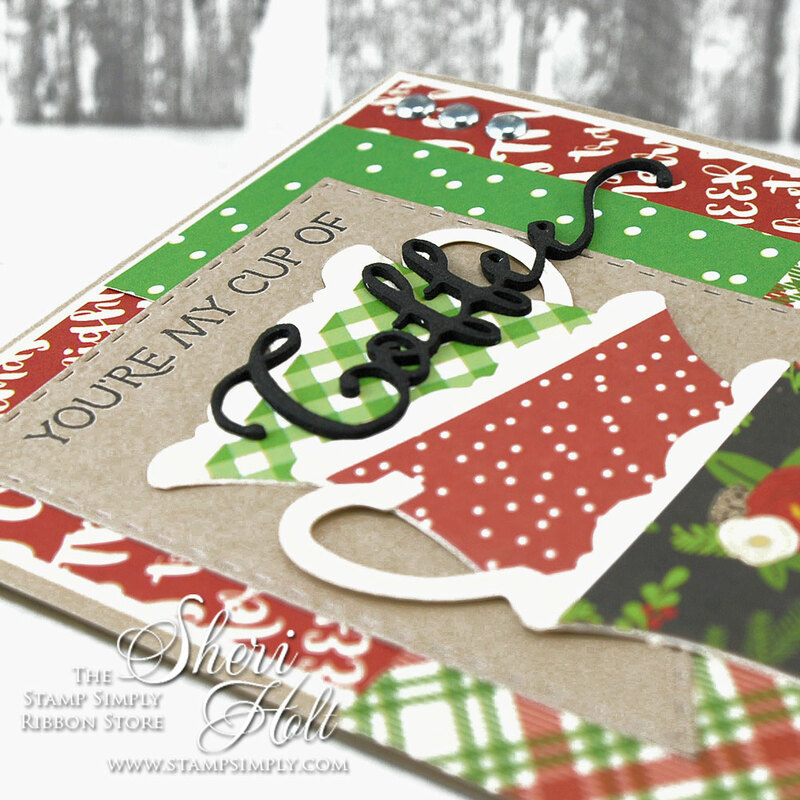 I have another fun card featuring the Stamp Simply Ribbon Store Coffee Or Tea? Clear Stamp & Die Combo on The Stamp Simply Ribbon Store blog today. 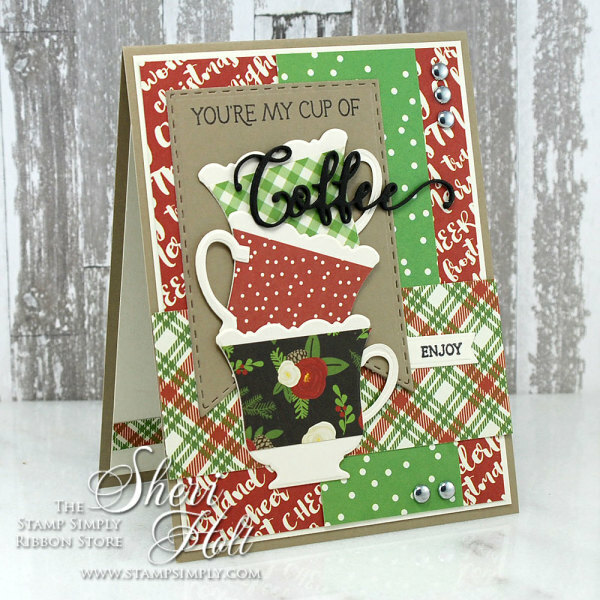 I used the smaller of the tea cup dies and stacked them in festive patterns. 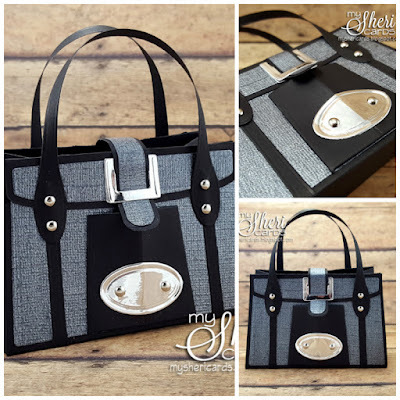 This is a great way to use up some scraps too. It may be a little too much for some but I just LOVE mixing patterned papers! I am also entering this card in the 2017 Winter Coffee Lovers Blog Hop I recently heard about. There are TONS of prizes and sponsors so I am excited to play along!! I will probably be using this set A LOT!! CURRENT SPECIALS running with our NEW RELEASE of Coffee or Tea? $2.95 shipping on ALL US orders – this week only! 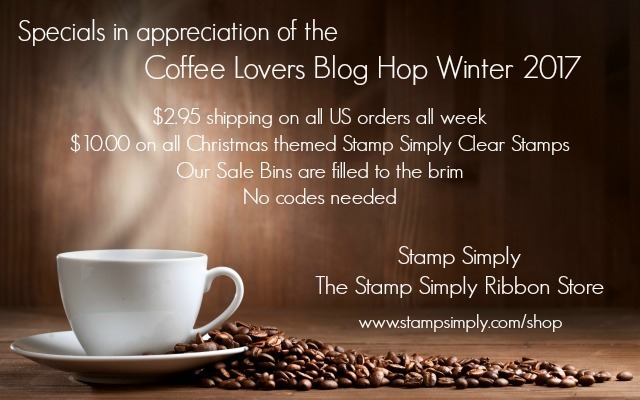 $10.00 on ALL Stamp Simply Christmas themed stamp sets – extended just for this release! Very pretty. 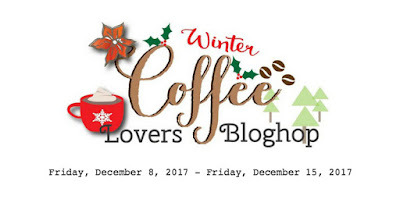 Love the papers that you used on the cups. This is a very festive card. Such beautiful cups on your card. The design of the card is all so wonderful too! Love the beautiful paper piecing on these stack of cups, super cute! pretty card and lovely papers. This is soooo pretty! Great choice on the papers! I for one absolutely LOVE all of those patterns! Gorgeous card! Wonderful card - I am not good at mixing patterns but I sure appreciate those that can. LOVE the papers and the cups stacked on each other... way cute!